This 3 kilometers wrong road stretching from north to south is basically the greatest shopping and nightlife package you get on this island. Never attempt to come here buy car, or at least never try to drive down this road. You will be stuck in the traffic jam 4 hours and hours. It is best to walk the length of this room stopping in at each shop to check out its wares.You get the standard branded stuff in the standard outlets, and you also get stuff sold by local merchants inside their own stores. You can haggle over the prices with the latter, and they are almost guaranteed to quote you a higher price at the beginning. But it is at night that the road really comes alive, when the bars and pubs and restaurants and clubs are all open at once. In fact, peak traffic at this road is usually at 1 a.m. in the morning. Do not attempt this road in a car. Walk instead. Drive to here or take a taxi or ojek. 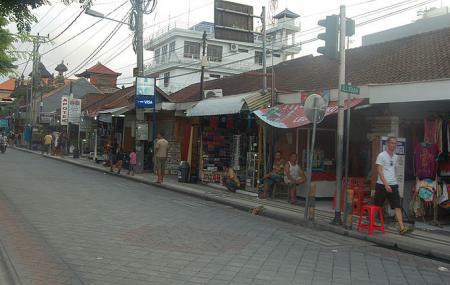 How popular is Legian Street? People normally club together Bali Bird Park and Legian Beach while planning their visit to Legian Street. People also prefer to end their day with Legian Street.